The Firehall Arts Centre presents the return of its annual Eat. Drink. Play. celebration on June 16, 2016 at 7pm. 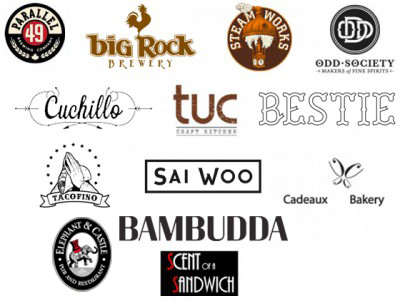 Created to celebrate the foodie revolution happening in the Firehall’s backyard, the event brings together East Van’s finest restaurateurs, craft brewers, small-batch distillers, and performers for an eclectic summer evening of sampling and sharing. The event takes over the Firehall’s entire premises, filling its theatre, lobby, studio, courtyard, and even dressing rooms with a smorgasbord of delectable treats and eclectic dance, music, and performance. Attendees are free to roam the entire complex, making culinary and artistic discoveries around each corner (as well as bidding on a silent auction bursting with prizes). Local restaurants contributing tastes of signature dishes will include such neighbourhood hot spots as Bambudda, Bestie, Cuchillo, Sai Woo, Tacofino, and tuc Craft Kitchen among others. Libation samples will be available from local brewers Big Rock, Parrallel 49, and Steamworks, while Odd Society Spirits serve up samples of their signature vodka and gin. Short performances that will take place during the evening include TJ Dawe performing an excerpt from his new show, Burn This (after its highly successful run at the Orlando Fringe Festival). Nicolle Nattrass will perform an excerpt from Mamahood: turn and face the strange, which is a part of the Firehall’s recently announced 2016/2017 season. Meghan Gardiner will be reviving her Jessie Award-nominated performance playing the character Helen from the recent production of Dead Metaphor. New for this year, a select portion of the Eat. Drink. Play. auction will be taking place online.